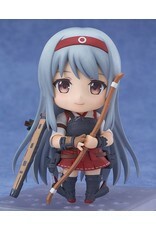 "Fifth Carrier Division, Nendoroid Shokaku. Ready to sortie!" From the popular browser game 'Kantai Collection -KanColle-' comes a Nendoroid of the first Shokaku-class aircraft carrier, Shokaku! The Nendoroid is based on Shokaku's 'Kai Ni' upgrade but also has parts to recreate her 'Kai Ni A' and standard versions. 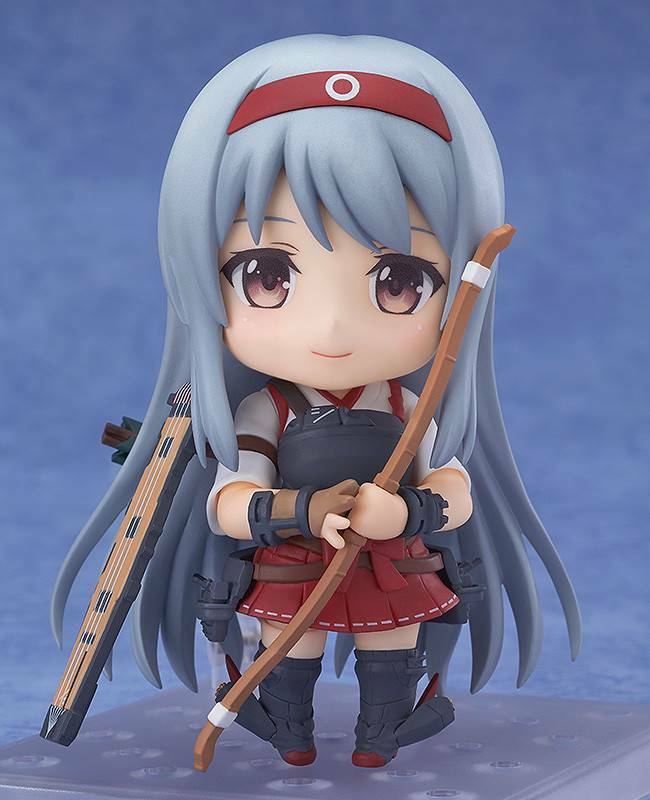 Nendoroid Shokaku comes with three expressions including her standard expression, an attacking expression for combat as well as a half-damaged expression. An alternate body to recreate her half-damaged appearance is also included, allowing fans to enjoy all sorts of different scenes. Other optional parts include a Type Zero Fighter Model 52 and three "Tenzan" aeroplanes to display around her - with one of the Tenzan planes upgraded to the Model 12 version. She also comes with some ice-cream just like her sister ship, Zuikaku.